The city of Catania was founded in 729 BC, but there is evidence of human settlement in the province since the Bronze age. It was conquered by the Romans in 263 and became the most prosperous city in Roman Sicily. Proximity to Mt. Etna gives the entire province beautiful scenery, but it comes with devastating natural disasters. The city of Catania was almost destroyed by an earthquake in 1169, and again in 1693, while lava flow from a worse-than-usual Etna eruption did serious damage in 1669. Etna so affects the province that some previously coastal fortifications are now castles inland. The Bourbon kings of France had a great influence on the province during the 18th century; a lot of the architecture is similar to that of Naples because both cities were largely re-built by the Bourbons. During this time, the caché of having a villa in the province rose and noble families from all over eastern Sicily planted roots in Catania. 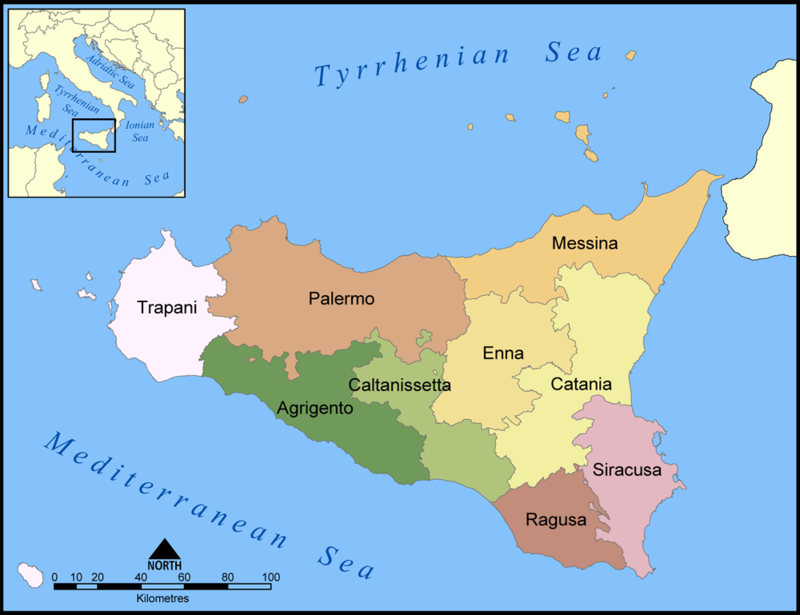 Comprised of 58 towns and more than 1 million people, Catania is one of the most populous parts of Sicily, second only to the province of Palermo. It has a great industrial base, rich farming and the only major commercial airport in Sicily outside Palermo. Operatic genius Vincenzo Bellini is from Catania, and so is the pasta dish named for his masterpiece, Norma. Chunks of fried eggplant, tossed with pasta, tomato sauce, basil and ricotta salata, this gastronomical masterpieces could only be named Pasta alla Norma. Many other culinary delights abound in Catania: crespelle (ricotta fritters), the lovely pistachios from Bronte, arancini (fried stuffed rice balls), cannoli and more. Bronte, on the western slopes of Etna, is the only place in Italy that pistachios grow and they are considered some of the finest in the world. ETNA! No trip to Catania is complete without visiting the higest, most active volcano in Europe. It is also the highest point in Sicily. The Mt. Etna Park straddles Messina and Catania, but the province and city of Catania are more affected by it. The ancient Greeks believed that Vulcan, the god of fire, lived in Etna, as did the monster Cyclops. Today it is the largest nature preserve in Sicily, offering summer hiking and winter cross-country skiing. The nearby Alcantara Gorge is another natural wonder, created by lava flow, as are the numerous grottoes around the volcano. There are wonderful Roman ampitheatres in Catania, one of which is built over the ruins of a Greek theater. Ursino Castle, a Norman fortification, is another gorgeous site, which has the remains of several royals and dignitaries entombed inside. There are many other wonderful churches and cathedrals in the province, making a visit to Catania an artist or architect's dream. Visitors right before Lent should go to the Carnival of Acireale, which is widely regarded as the most beautiful carnival in Sicily. Dating to the 16th century, the carnival features magnificent carrettinos and uses up to 30,000 carnations alone for the parade!